Church can be a place of solitude, reflection, and community. 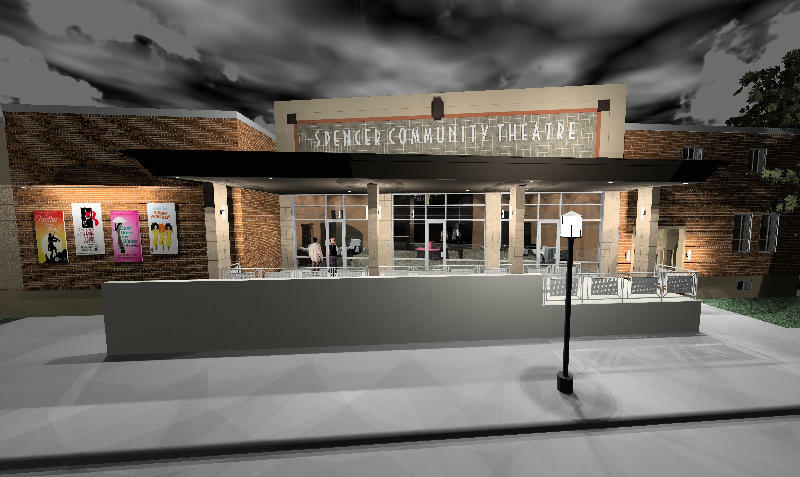 For Joe Jennison, writer and director of the Mount Vernon-Lisbon Community Development Group, the Catholic Church provided that space, but could also be unwelcoming at times. 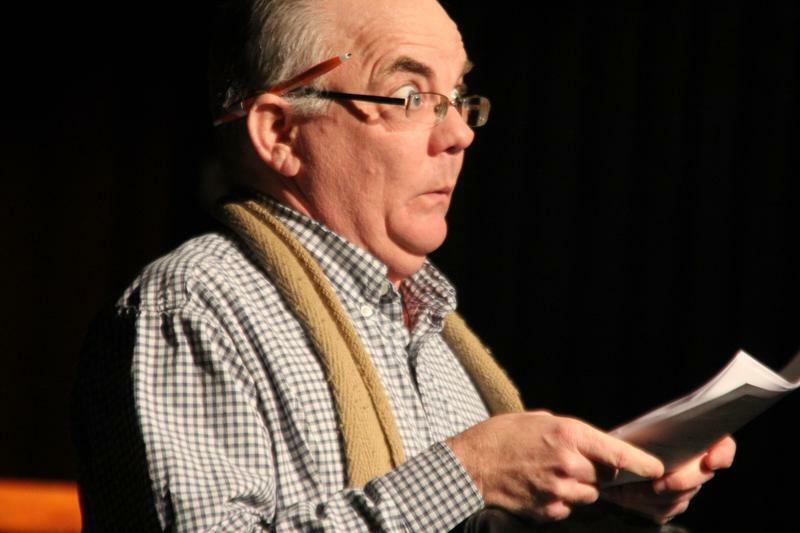 His experience as a gay man in the church led him to write the one-man show Confessions of a Gay Catholic. 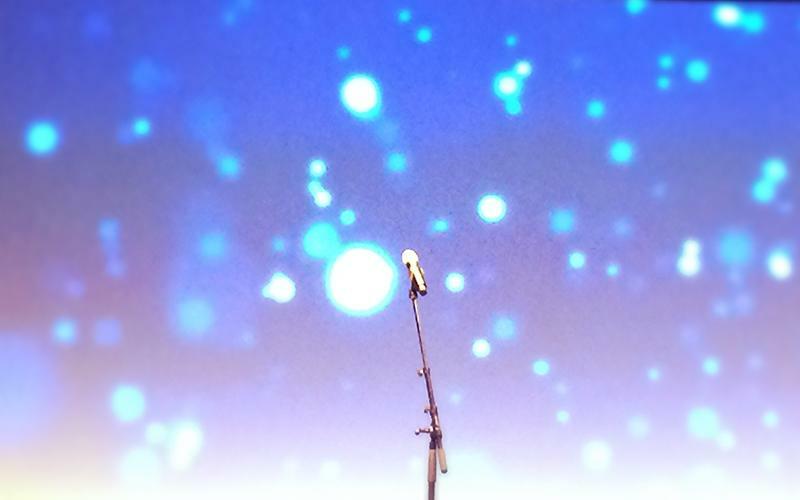 Doug Thompson of Marion has been performing as a comedian for over a decade. A few years ago, he was inspired to expand his skill set and learn hypnosis -- after seeing a really bad set. "I was watching this act, and I just thought, this could be so much more," Thompson says. "I'm that kind of person who always wants to be learning and growing." Have you ever felt like you have an alter ego? A version of yourself that is most authentic, but also most often hidden? 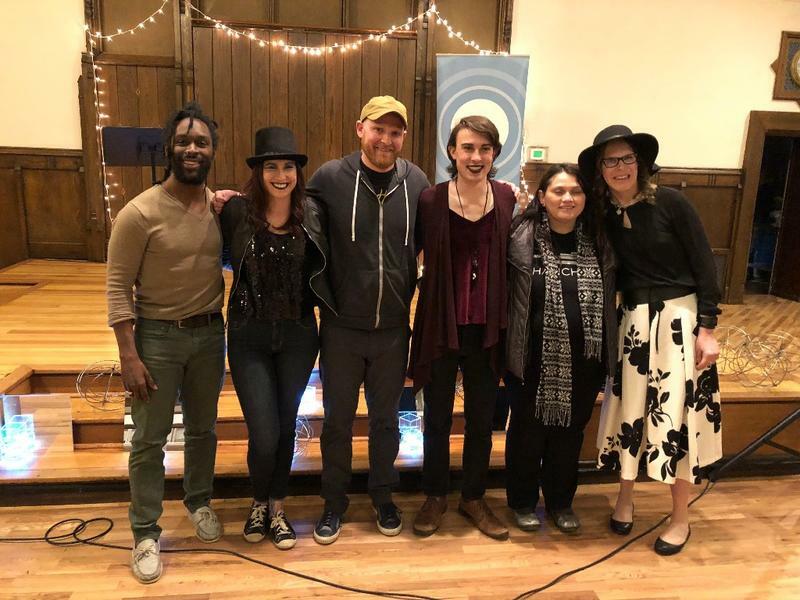 On Thursday, March 29, an audience gathered in Iowa City for "Fringe: True Stories from Outsiders," an IowaWatch storytelling event, to explore what it means to share one's authentic self. Motivated by the Me Too movement, FilmScene in Iowa City is hosting "Women's March," a month-long series celebrating films directed by women filmmakers. 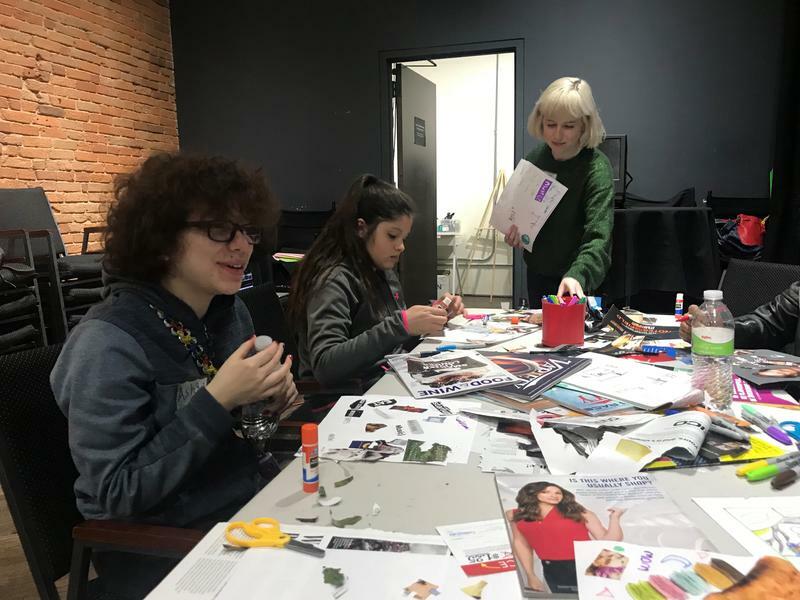 At an Animation Camp on March 15 and 16, young filmmakers - specifically girls and genderqueer youth ages 11 to 13 - learned to make their own animated films. 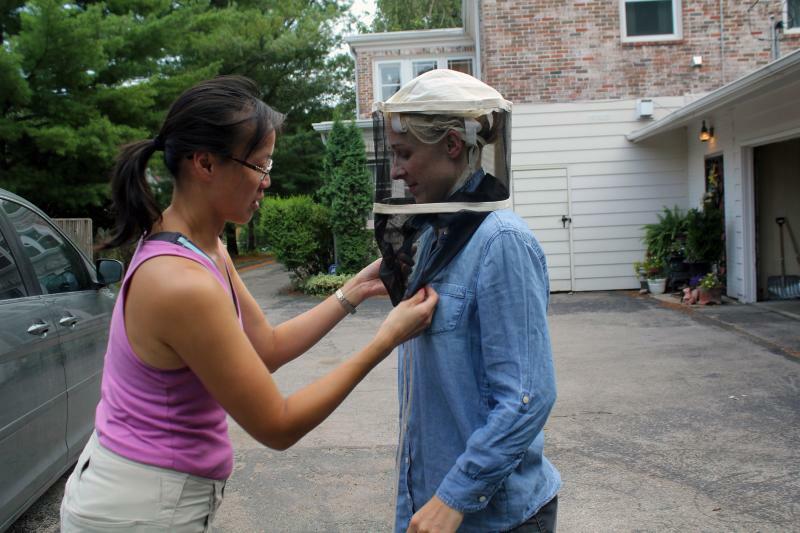 On this Talk of Iowa, Charity Nebbe talks with FilmScene programming director Rebecca Fons about the motivation behind the animation camp as well as participants' experiences. Woody Harrelson Coming to Iowa for Screening of "Lost in London"
Last January, actor Woody Harrelson wrote, directed, and starred in a live feature film called Lost in London. 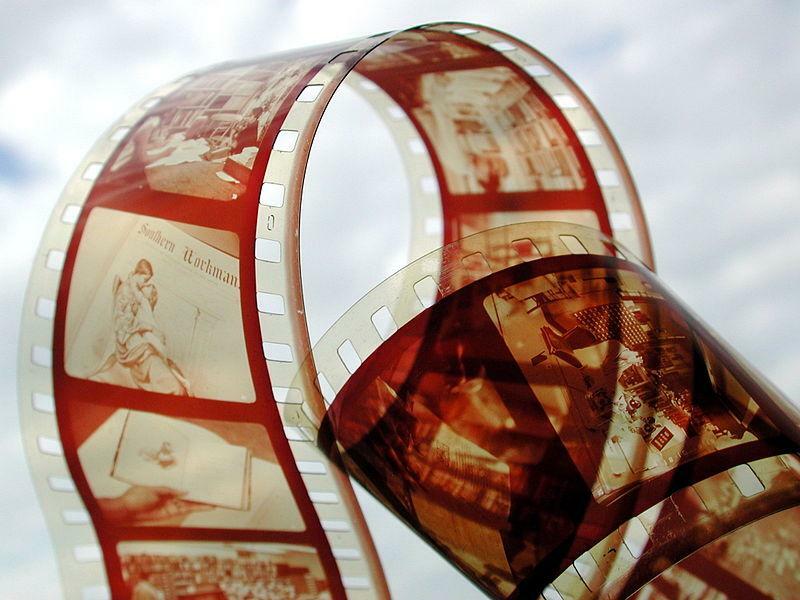 The movie was shot in London and broadcast live into American theaters, with audiences watching the film in real time. 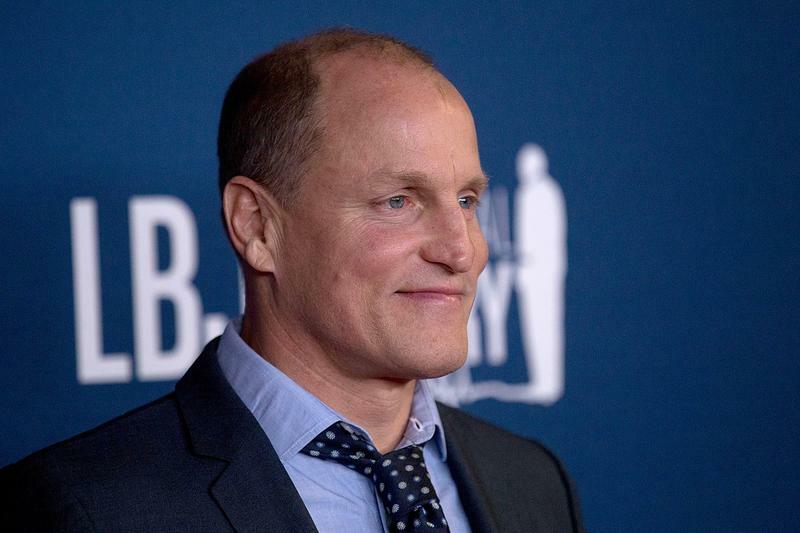 The movie is inspired by real life events, and while it is a comedy, it takes places entirely in what Harrelson describes as the worst night of his life: a 2002 incident when he was arrested for getting into a fight with a cab driver just days after a night of infidelity was exposed by a tabloid. 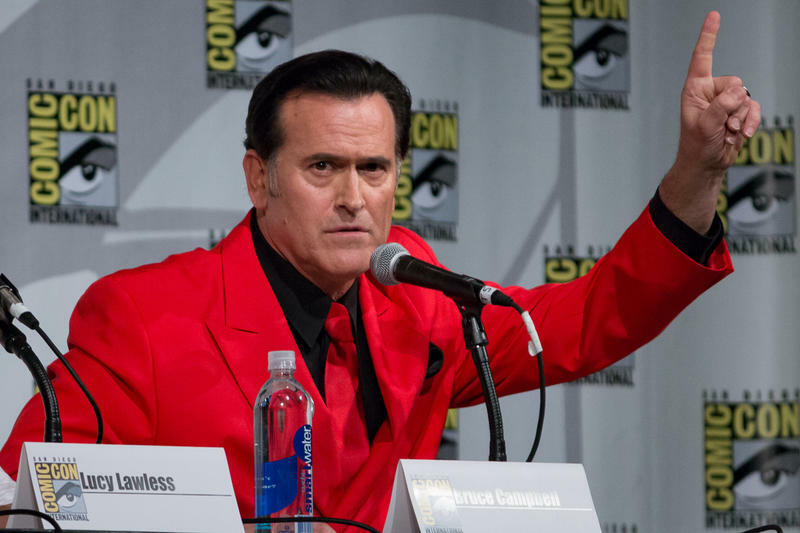 Bruce Campbell has been producing and starring in films since the 1970s, and through work largely with low-budget horror films, he has carved out a niche for himself as an iconic B movie actor. His most recognized role is that of Ash in the Evil Dead film franchise, which has produced three films, six video games, numerous comic books, and a critically-acclaimed TV show on Starz entitled Ash vs. Evil Dead, which was renewed for a third season in 2016. He mentions how his horror movie The Evil Dead received some added credibility from a fellow horror icon. 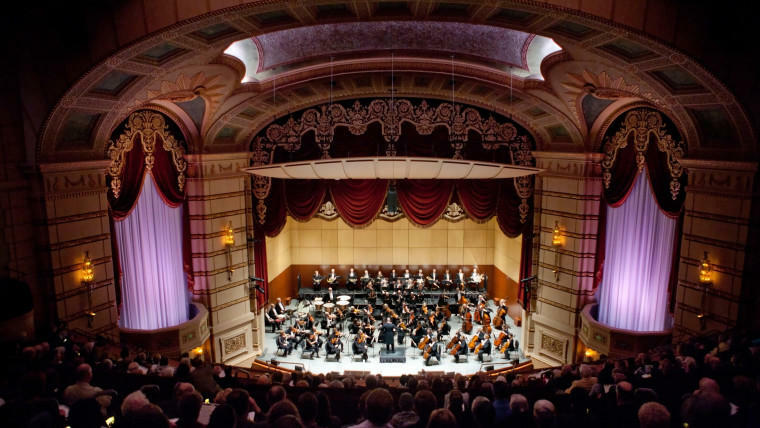 Iowa has dozens of opera houses and performance venues outside of its urban hubs. Some of these are still in use, others that used to get used quite a lot, don’t anymore. 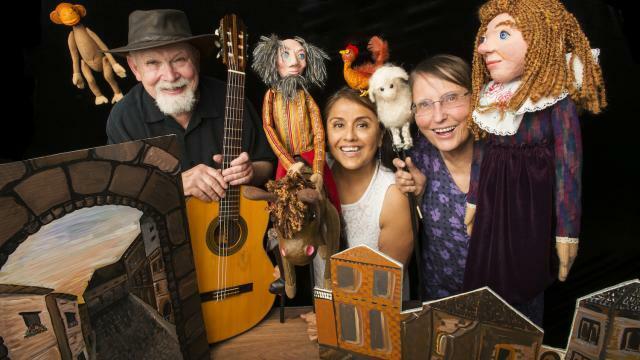 “The Nitch,” a touring vaudeville style show and integrated arts learning program based on a book of the same name, is trying to change that. The act of creating is a powerful one, but you don't have to be a professional artist to tap into that power. 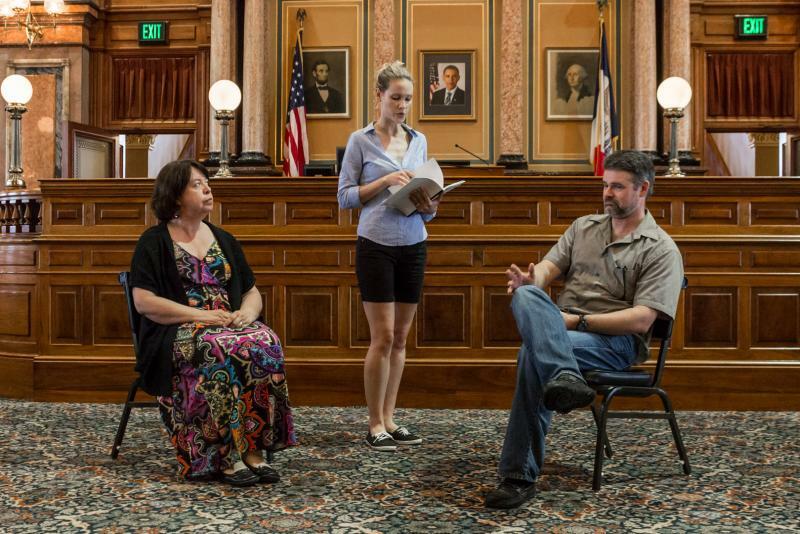 On this "Iowa Week" program about the arts in Iowa, we talk to a number of Iowans about art in their communities, from theater to community bands to the visual arts. From the time it opened in 1972, Hancher Auditorium on the University of Iowa campus was one of the premier performance spaces in Iowa. That all changed with the historic flooding of Eastern Iowa in 2008 when the auditorium was flooded beyond repair. Executive Director Chuck Swanson says he remembers the flooding being surreal. 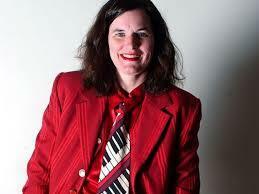 Paula Poundstone loves Iowa--she must, she's performing here again! On this segment of Talk of Iowa, Charity speaks to the venerated comedian, who is returning to Iowa City for a show at the Englert Theatre on June 10. Host Charity Nebbe talks with Marc Maron. 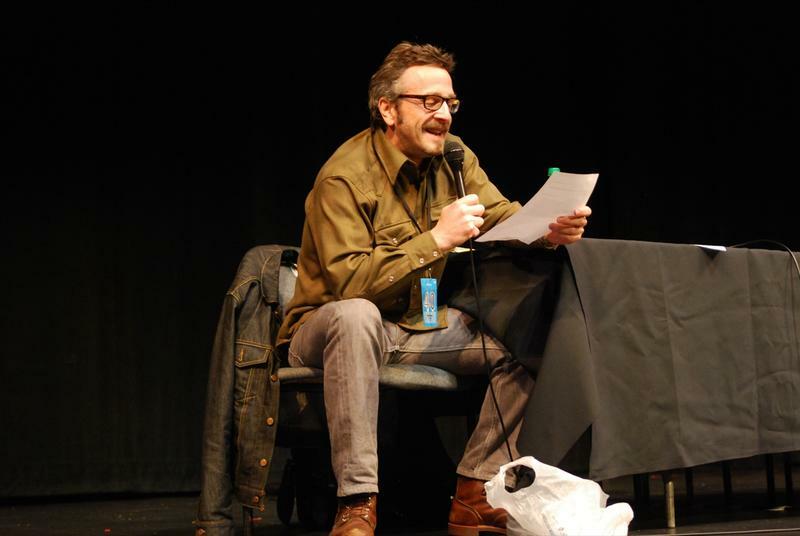 Marc Maron, comic and host of the popular podcast WTF, is coming to Iowa as part of the Mission Creek festival. He'll be performing at the Englert Theatre on Friday night. In this hour of Talk of Iowa, Charity Nebbe spoke with him about vulnerability, the impact success has on creation, and the quality of his phone line. 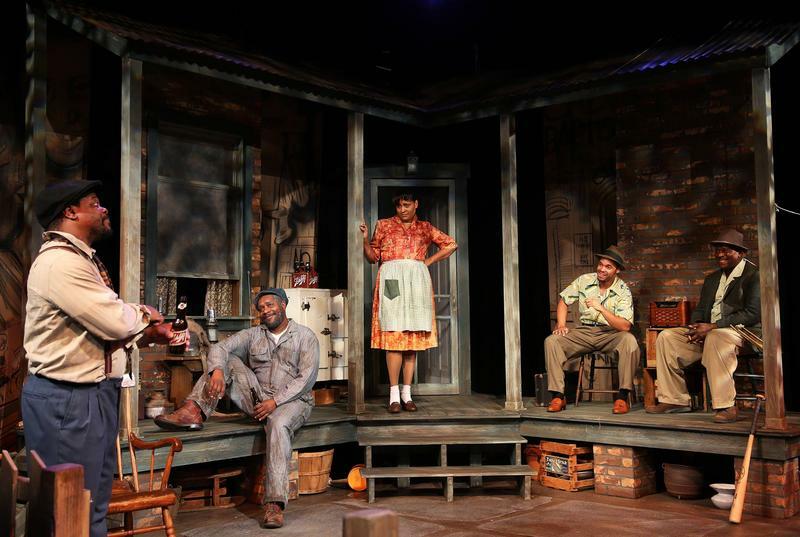 Pyramid Theatre Company, which intends to feature black actors and draw from plays by black playwrights, is announcing their opening season in Des Moines this summer. Ken Matt-Martin, founder and executive director of the company, says a company with this mission is needed. In high school, Nick Seymour never saw himself doing stand-up, but once when he got the opportunity to take a class in comedy at Iowa State, he figured it'd be a fun way to spend a semester. "At the beginning, I didn’t know there’d be a performance associated with it. The teacher shocked us all the first day with that information. Everyone freaked out for awhile." 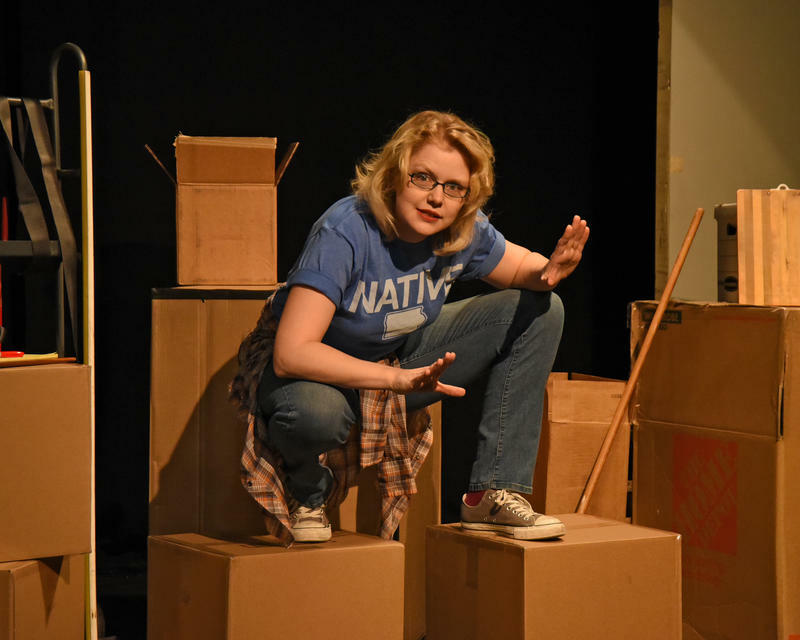 In her new one-woman show, Housebroken, actress and playwright Megan Gogerty uses sarcasm and humor to describe the process of buying a new house. On this segment of Talk of Iowa, host Charity Nebbe talks with Gogerty about the show, as well as her career as a solo performer. 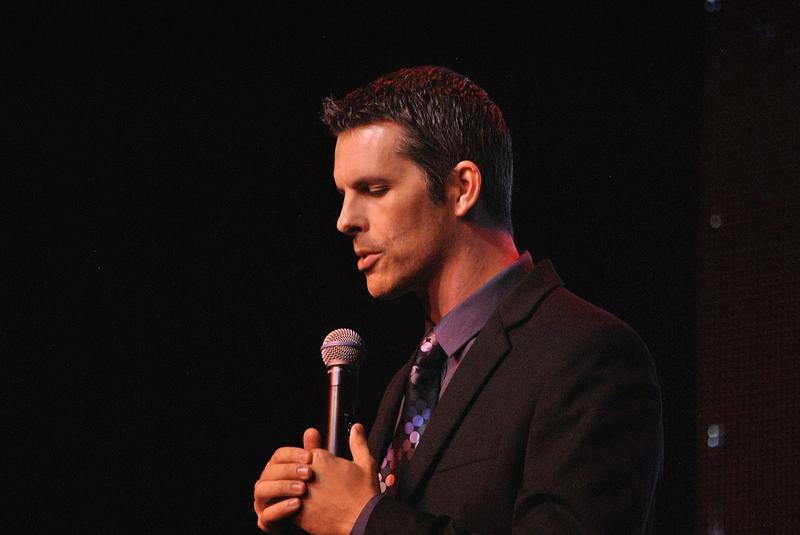 During the first year of his daughter's life, standup comedian Nathan Timmel missed a lot. Do you get nervous on stage? How do you deal with the butterflies? People associate Iowa with "The Bridges of Madison County" and "Field of Dreams." But what movies are being shot in Iowa today? A new play about one the country’s most influential Presidents will take place in a space only used by politicians. “Lincoln’s Last Interview” only engagement is on the floor of the Iowa House in the State Capitol. It’s being used as a stand in for the US House of Representatives. The play is set on April 14th, 1865 where President Lincoln and his wife Mary give an interview to a reporter before leaving to see a play at Ford’s Theater. 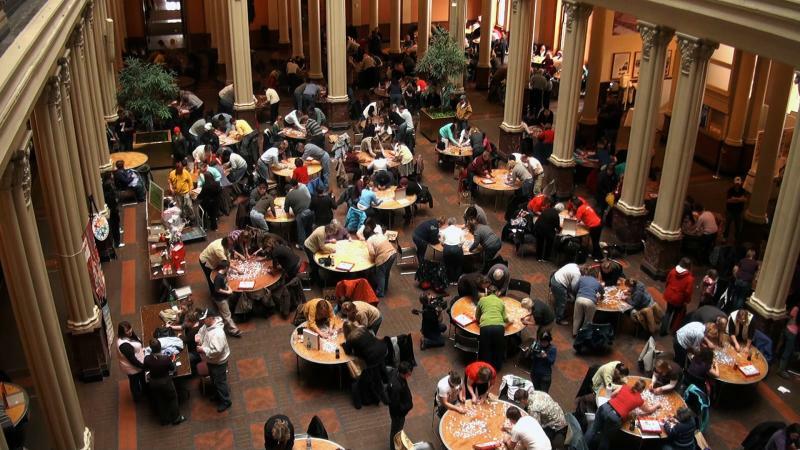 Former Iowa State lawmaker John Wittneben has more than 4,000 assembled puzzles in his home, and he’s not the only one. 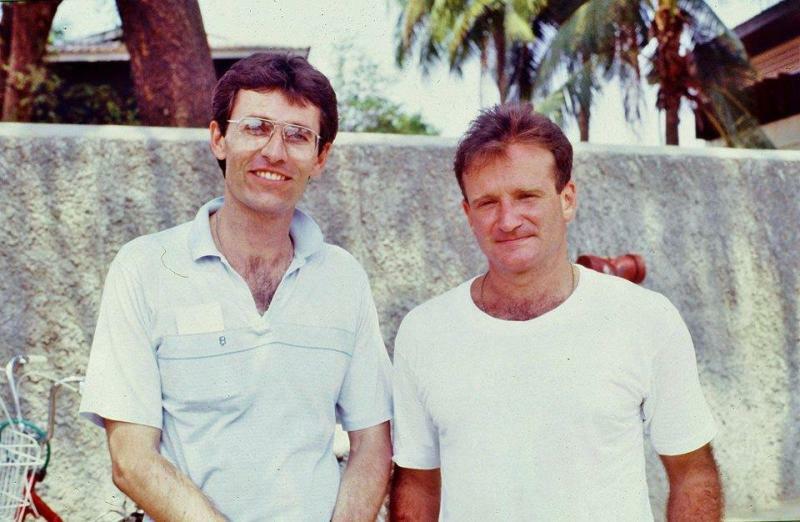 Robin Williams' death earlier this week sparked many stories of how he touched the lives of his fans and the people he met. 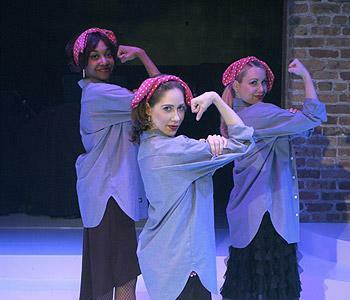 When Professor Dorothy Marcic was asked to give a talk about how women have been portrayed in song lyrics over the course of the 21st century, she was shocked to find that nobody had really look into it, so she did. “What I found was that the songs that resonated on Top 40 charts, have shadowed the women’s empowerment movement. Songs start out being very co-dependent, like in Little Peggy March’s ‘I Will Follow Him’ and end up being very empowering. Take ‘I Will Survive’ by Gloria Gaynor," she explains. Washington D.C. - Hollywood’s New Wild West? From the idealistic public servants of "The West Wing" to the conniving anti-heroes of "House of Cards," the portrayal of Washington D.C. in popular culture has changed significantly over the last decade. Today on River to River - what shows set in our nation's capital say about our political climate, and what we can and cannot learn from these programs. Marshalltown native Toby Huss’ latest project reaches back into history into the burgeoning computer revolution of the 1980’s, when IBM was out in from of the PC wars. The new series, AMC’s Half and Catch Fire, premiers this Sunday. Huss, along with a small group of people at a midlevel computer company in Texas called Cardiff Electric, try to reverse engineer an IBM PC, steal the technology and improve upon it. 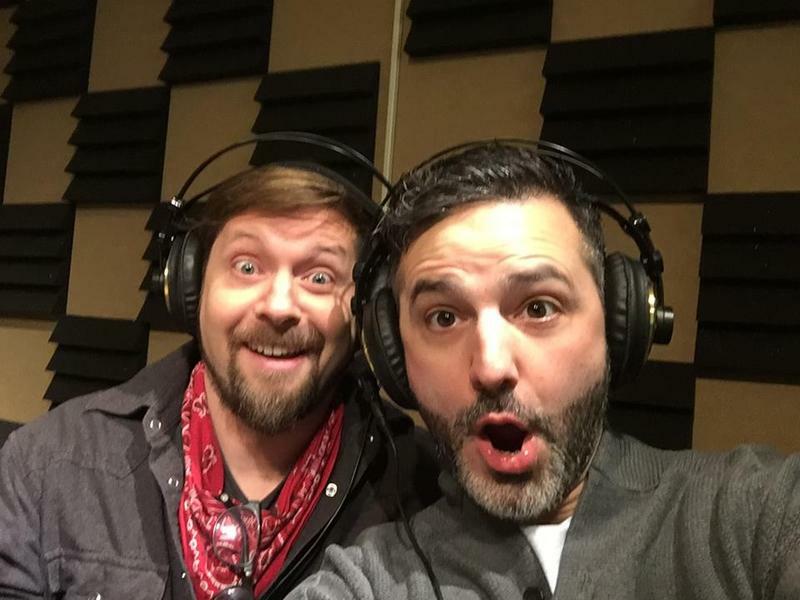 He talks with host Ben Kieffer about the new series.